What do we have here? Of course, it's the iconic Sonic Screwdriver, first used all the way back in the 1968 serial 'Fury from the Deep'. Since then has been a huge part of the show, regularly used by the Second Doctor more than any other Doctor. Initially the Screwdriver was designed as little pen light but, it soon became the Doctor's trustworthy multi-purpose tool. Oh, dear. You seem to have blown up... MY PIGGIN' SCREWDRIVER!!! HOW COULD THEY??? From here on in, the Doctor was on his own as, in the Fifth Doctor's fourth story of his tenure The Visitation, the Sonic Screwdriver is blown up and destroyed by a Terileptil, never to be replaced again. Fast forward fourteen years and, in the television movie, the Sonic Screwdriver is BACK! Its first return (it would later return in the NuWho series in 2005 with the Ninth, Tenth and Eleventh Doctors all receiving their own - look above). 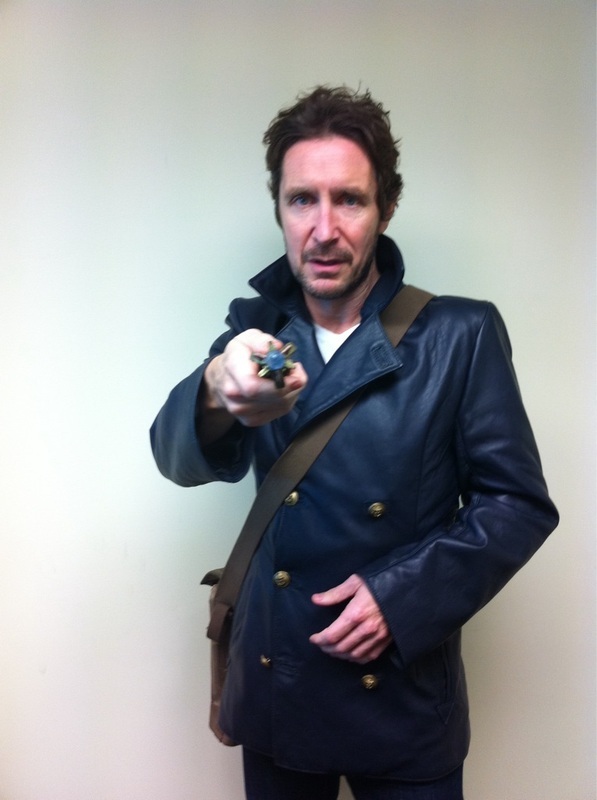 Another sixteen years after the television movie and the Eighth Doctor receives his very own specially created Sonic Screwdriver!!! Just look at it! Doesn't it suit him? What a way to complete his new outfit. Get in!